From Womb to World: The Journey That Shapes Our Life. When should I make an appointment to see a doctor? What's the difference between a doctor and a midwife? Now that I am pregnant, how is my body going to change? When will this morning sickness end? What can I take for my headache? What tests do I have to do? What can I do to get through labor? Everyone wants to tell me about their birth stories…should I listen to them? How can I avoid postpartum depression? The list goes on and on. It was all of these questions that made me think that I needed to get information out to more and more moms. And so, here you will find answers to all of these questions and more. If you're an expecting mom, I'm pretty sure this is gonna be helpful! But first thing's first: I want to make sure you're eating well because good nutrition during pregnancy is the foundation of your baby's health. And your key to having a healthy, natural pregnancy, feeling good and having more energy. It is your key to a better and easier childbirth experience and postpartum recovery. For basic tips, check out my blog 12 Tips to Eating Healthy During Pregnancy. If you want to know more…consider 12 Days To A Health Pregnancy, Healthy Baby & Beyond—Prenatal Nutrition 101 Class. Reduce stress; love yourself as if you were your own child. You and your baby will benefit! Pregnancy is a time when you need lots of support, love, comfort, affection, healthy-nourishing foods, rest, and a stress-free environment. Be your own best friend, take care of you and your growing baby. So where do you begin? Pregnancy Calculator — Help determine how many weeks pregnant you are based on due date. 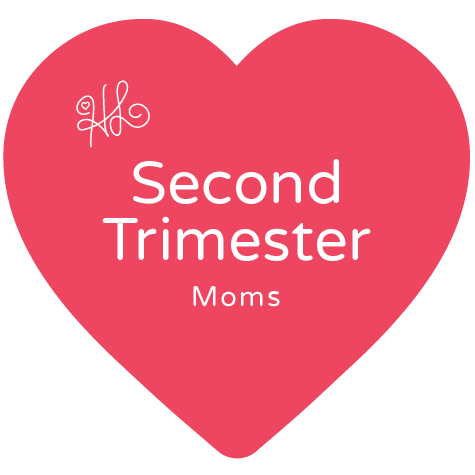 Tips for Weeks 29-32: The Third Trimester! Tips for Weeks 33-37: Hang In There! You're Almost There! Tips for Weeks 38-40: The Home Stretch! Here's the 411 on Postpartum Depression, Mood & Anxiety Disorders - Part One and Part Two- Help. Check out our DAD 101, BABY 101, and Kids 101 sections. Don't forget to check out 12 Days To A Healthy Pregnancy, Healthy Baby & More— Prenatal Nutrition 101. Your baby is worth it!